CLOSEOUTS. 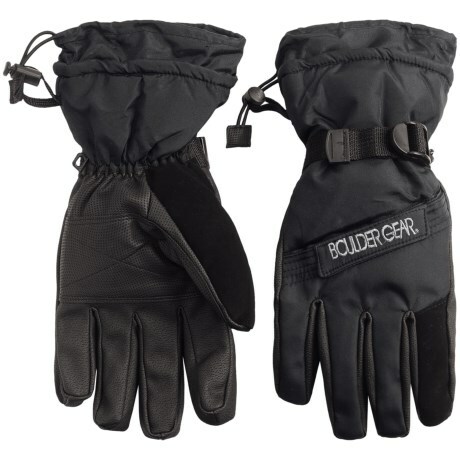 Waterproof, insulated and flexible, the Boulder Gear Board gloves protect your hands from the elements on tough winter days. The Drypeland#174; membrane sits between the technical fabric shell and the fleece lining, repelling moisture while letting vapor escape from inside the glove for optimal comfort and breathability. Available Colors: BLACK. Sizes: S, M, L, XL.